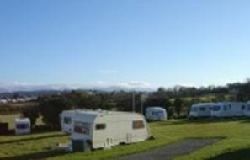 Bodafon Caravan Park is a quiet site located on the outskirts of Benllech, with it's wide sandy beach, just around the headland from Red Wharfe Bay on the East Coast of Anglesey. The site is within walking distance of the village centre where holidaymakers can enjoy a quiet drink, good food and a stroll on the beach. Near Benllech - a sandy composition 1.0 miles away. Near Benllech - a sandy composition 1.4 miles away. Near Moelfre - a sandy and shingle composition 1.7 miles away. Near Menai Bridge - a sandy composition 1.9 miles away. Near Amlwch - a sandy composition 2.6 miles away.